Millions of people are signing up for Obamacare for next year, despite President-elect Donald Trump's vow to repeal it as soon as he takes office next month. Just over 4 million people have selected policies for 2017 through the federal exchange, healthcare.gov, as of Dec. 10, according to data released Wednesday by the Department of Health and Human Services. That's an increase of more than 250,000 from last year. 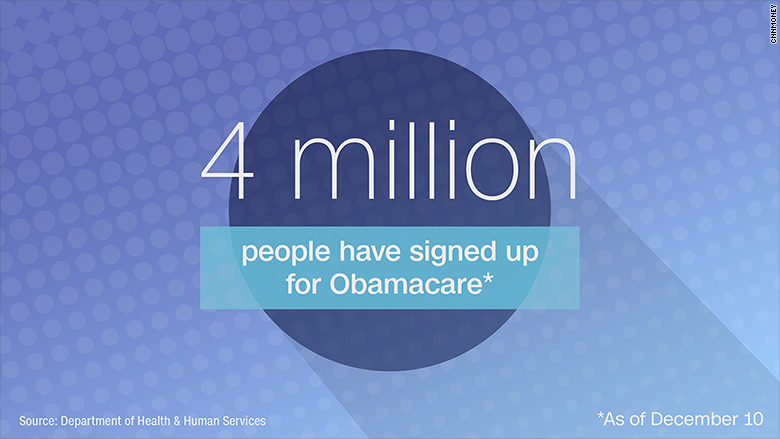 More than 1.1 million new people have signed up for 2017, while 2.9 million people are renewing their coverage. Consumers aren't officially enrolled until they pay their first month's premium. The pace is quickening this week. Those who want coverage to start on Jan. 1 must sign up by Thursday. More than 700,000 people signed up on Monday and Tuesday, the two biggest days since open enrollment started on Nov. 1. States that run their own exchanges are also seeing a boost in interest. More than 153,000 new consumers have signed up on California's exchange, including 25,000 on Monday and Tuesday. That's in addition to the 1.2 million current Golden State customers who've renewed their plans. The state extended its deadline to Dec. 17 for those who want coverage to begin New Year's Day. "This strong demand shows that Californians are using the competitive marketplace that Covered California provides," said Peter Lee, executive director of the state's exchange. The Obama administration is encouraging people to sign up to show Trump and the Republicans how vital Obamacare is to Americans. They've created the hashtag #CoverageMatters to let enrollees share how health care reform has benefited them. The surge in sign-ups comes as Republicans prepare to repeal Obamacare in coming weeks. However, it's expected that they will delay putting an actual end to the law for two or three years while they come up with a replacement plan. 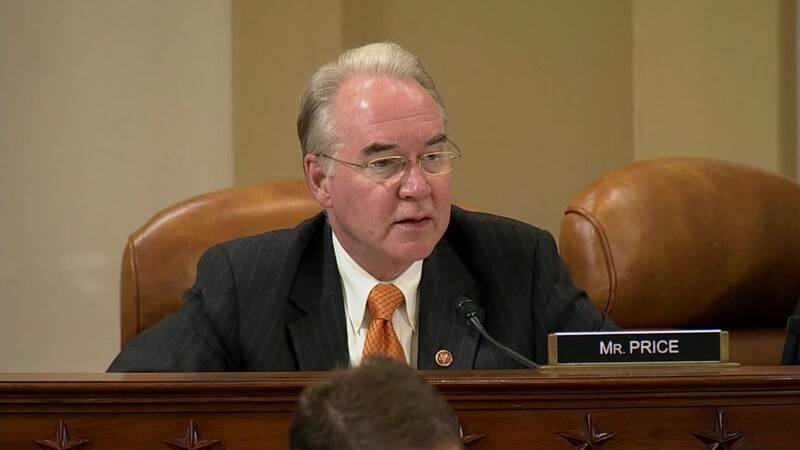 "A repeal and delay is a repeal and recipe for collapse," Health Secretary Sylvia Burwell told CNN's MJ Lee Wednesday. "Insurance companies have to make their decisions in the first half of the year -- whether or not they're going to be in the marketplace and what prices they're going to charge. With that level of uncertainty, we've seen studies and more and more analysis is coming out, that what insurance companies will do -- many of them -- will make the choice to be out of the marketplace or else to raise their prices dramatically."